Outfit your kitchen or bar with on of our custom built masterpiece counters. 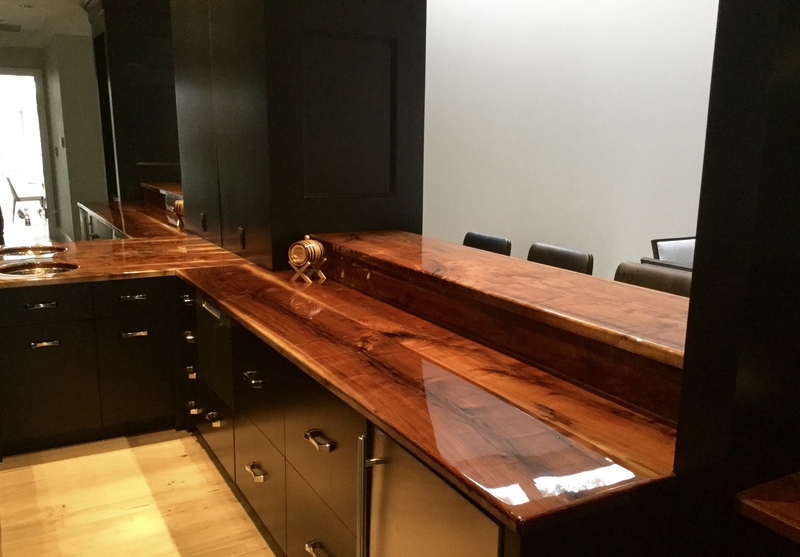 Combining high quality materials with excellent craftsmanship and attention to detail, our countertops, island tops and bars are of a can last for centuries. We will design and build your island top, bar top or counters to your specification. 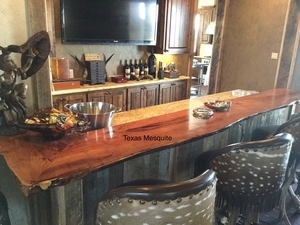 A 10' long mesquite bar top for a local hunting lodge. 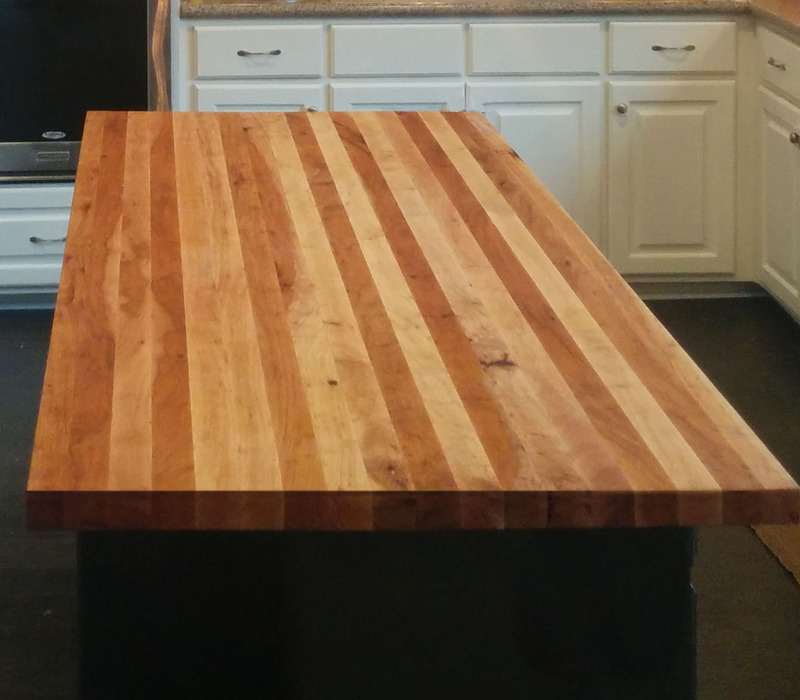 A Texas Pecan butcher block island top. Walnut galley kitchen in solid Texas Walnut from the Brazos River. Totally sealed in waterproof acrylic for life! Mirrors surrounding the kitchen accentuate the beauty of the wood. Massive Texas Mesquite Island top for a new home in Meridian, TX. Also a custom bar top accents the dining area. 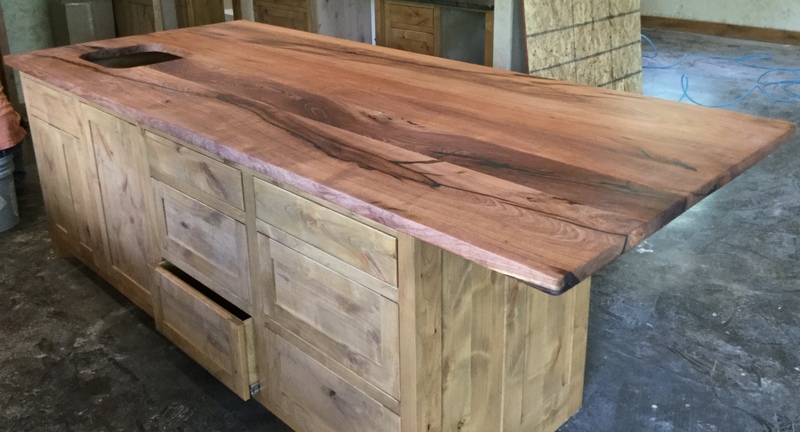 Natural tung oil finish gives an earthy feel to the countertops, while providing excellent protection. Spalted Pecan counter welcomes visitors in a Texas home. 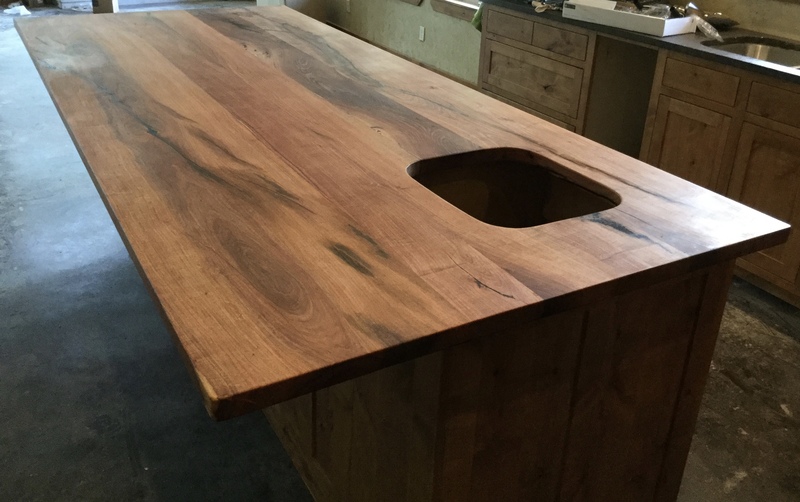 Here is a 9' long mesquite counter we made for a local contractor remodeling a clients home to match their existing counters. Mesquite Island Top for a local remodel. These butcher block style mesquite countertops are becoming highly popular.